I’m scheduled to give a lecture on the Icelandic sagas for a Sons of Norway lodge next month. Consequently, in an unaccustomed spasm of integrity, I thought I ought to check out the latest scholarship, since the information I’ve been operating on is a decade old or more. I chose The Cambridge Introduction to the Old Norse-Icelandic Saga, by Margaret Clunies Ross. I think I chose well. 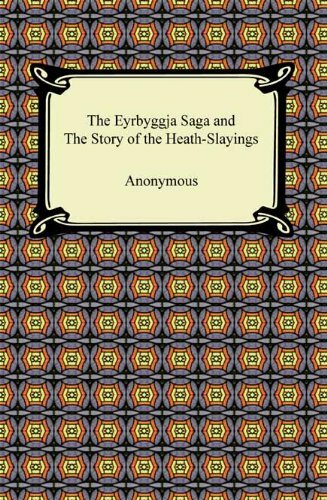 I had learned from my efforts translating Torgrim Titlestad’s work (still awaiting publication in English, dash it all) that there has been some upheaval in saga studies of late. This Cambridge Introduction concentrates mostly on different aspects of saga studies from those Titlestad does (he’s mostly interested in the use of sagas in historiography), but it reinforced the impressions I got from him. During the 20th Century, scholarly interest concentrated mostly on what are often called “the Icelanders’ sagas” (designations of categories seem to be a continuing problem in the field), the famous “wild west” stories of individuals and families involved in feuds and lawsuits, sometimes over generations. But Ross reminds us that there are in fact many different kinds of sagas – the sagas of ancient times, the chivalric sagas, the saints’ lives, the historical sagas, etc. Scholars are beginning to appreciate the other genres, and to admit that a) the earlier sagas aren’t necessarily better, and b) they’re not sure which ones are earlier anyway. As in biblical studies, textual critics in the 20th Century got a bit grandiose in their certainties about the evolutions of textual variants and which variants have priority. Scholars today are becoming a little less snobbish, and are broadening their range of tastes. 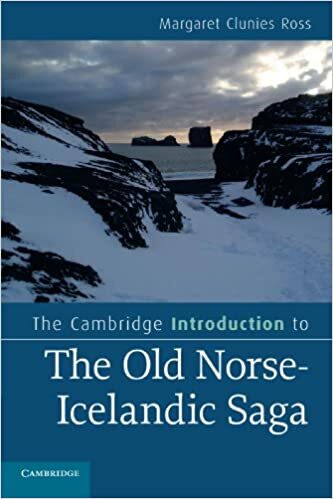 I enjoyed The Cambridge Introduction to the Old Norse-Icelandic Saga. Recommended for anyone looking for a fairly accessible, up-to-date guidebook. Dale Nelson passes on this link to the blog Sacnoth’s Scriptorium, passing on information about the upcoming re-release of Christopher Tolkien’s translation of The Saga of King Heidrek the Wise. I’m particularly happy about this since HEIDREK’s is my favorite saga, and the first one I read (back when I had to get special dispensation from the college library to check out books there, since I was still in high school). Though it came as a bit of a shock to discover that Heidrek himself was the ‘hero’ of the saga only in the sense of protagonist: a kin-slayer and wife-murderer and generally dangerous and disagreeable person to be around. The most striking character for me was (and is) not Heidrek but his mother, Hervor*, who summons her own dead father from the grave to demand the family heirloom, the cursed sword Tyrfing (made by Durin & Dvalin), which had been buried with him. This scene was one of the first bits of Old Norse lore to be translated into English** at the beginning of the revival of interest in old legends and mythologies and literatures in the mid-18th century. Tolkien fans will probably be more focused on the Riddle-game, which was surely one of Tolkien’s main sources for Gollum’s riddle-game (along with two lays in the ELDER EDDA): one of Gollum’s riddles (“no-legs”) actually appears in one of the HEIDREK manuscripts. There’s also the famous battle between the Goths and the Huns that ends the saga, although this occurs after Heidrek’s day and in fact is set in motion by his children. In personal news, blogging will be light next week, as I’ll be heading out Monday for my annual migration to Minot, North Dakota for the Norsk Hostfest. I hope to keep you posted to some degree, as I’ll be taking my laptop and they do have WiFi, which sometimes works. Back next Monday, but I make no promises about posting that day. I just finished reading Njal’s Saga again today (actually Magnusson’s and Pálsson’s translation, not the new one pictured above). It would be pointless to review such a classic, but I thought I’d jot down a few reader’s impressions, fancying myself (as I do) a fairly knowledgeable reader. 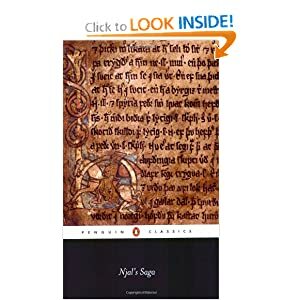 Njal’s Saga is often named as the greatest of all the Icelandic sagas. It’s not my favorite; I prefer the more action-oriented sagas like Egil’s and Grettir’s. That’s not to say Njal’s Saga lacks action. There’s plenty. The body count piles up like kills in a Stallone movie. But Njal’s is perhaps the most reflective saga, the saga that worries most about its soul. Njal come back now, ya hear? I’ve seen the artifact pictured above, in an exhibition. It’s one of the main reasons we believe the Vikings wore “nasal” helmets like the one I wear, even though none of that sort from the period has ever been found in Scandinavia. I’d seen it pictured in books many times before I saw the real thing. Its size surprised me. It’s only about as big as a man’s thumb, an object somebody probably carved for fun out of a piece of antler, for no reason other than to pass the time. A friend who reads this blog recently complimented me, in a personal note, on my “erudition” in Viking studies. I suppose I know a fair bit, when graded on the curve (I describe myself as a knowledgeable amateur), but I keep getting surprised by things.